Flormar Cosmetics is a professional Italian Makeup brand and I am ready to review their Neon eye shadows. This is a new brand for me. I saw other beauty bloggers write about their nails polishes and eyeshadows so I couldn’t help it but buy and test Flormar Neon makeup collection. I am a huge fan of colors since I rarely find eyeshadows that are more affordable and well pigmented I said ok let’s give these babiess a go. Expect more Flormar neaon beauty product reviews in the future. Flormar neon eye shadows makeup reviews are shadows which I love doing but due to my busy schedule I don’t do them as often as I would like. Flormar is an Italian brand that started back in 1970. Flormar around 1986 the product of their makeup was moved to Istanbul, Turkey. Even though they have been around for a long time they are still quit new to most beauty lovers in Europe. Now on to my makeup review of their Flormar Neon eyeshadow. 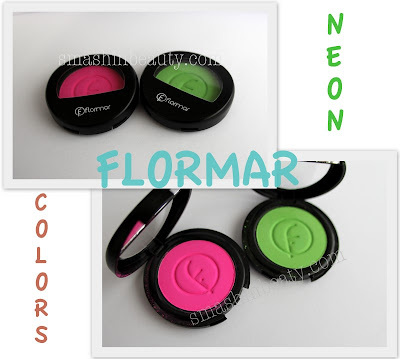 Today’s makeup review is Flormar’s Neon eyeshadows. 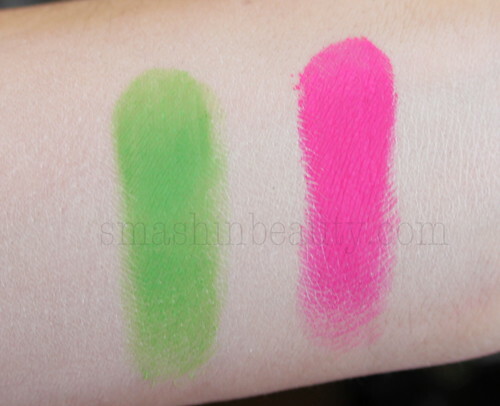 I bought and tested shade N105 (green) and N104 (pink). What are the Pros and Cons? The Pros: The eyeshadows are inexpensive due to the amount you get 4G. They are super pigmented and the texture is really soft and silky on touch. They blend with ease. 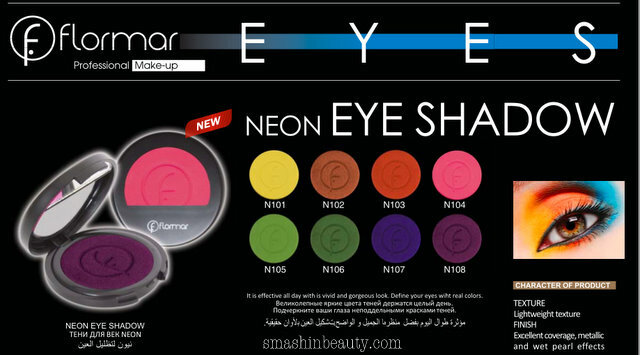 Flormar Neon eyeshadow makeup gets even more intense with a white base/primer, with a semi matte finish. The Cons would be that is crumbles but less than my Wet N Wildeyeshadows. Over all these eye shadows are seriously worth every penny, if you love Sugar Pill Cosmetics but think they are to expensive or don’t like shopping online, than run to your Flormar neon makeup stand this stuff is HAWT! Flormar taman je došao u zagrebu, možete pročitati moj prijašnji post o toj temi i gdje se nalazi. Flormar cosmetics je talijanska kozmetička marka. Ukratko Kupila sam 2 Neon sjenila koja su me oduševila. Ajmo sada analizirati Flormar sjenila za oči. Pozitivno: sjenila su povoljna za količinu koju dobijete 4G. Tekstura im je mekana i vrlo svilenkasta. Sa lakoćom se raznježuje (blenda). Flormar Cosmetics Neon sjenila su puno intenzivnija kada se koristi ispod bijele baze za oči. Sjenila su mat. Negativno: malo se truse tj. mrve no ni blizu kao moja wet n wild sjenila. Ukratko sjenila su vrijedna svake lipe. Nisu ni skupa a dobijete jako puno sjenila koja su nevjerovatno intenzivna i prave Neon boje. Flormar je izvrsna brend s kojim sam jako zadovoljna. Kupila sam još sjenila od Flormar cosmetics i iskreno recenziju očekujte i to pozitivne.